Israel says an international aid flotilla is carrying chemical weapons which could be used on soldiers attempting to stop it reaching Gaza. The other side calls it propaganda as the war of words continues. 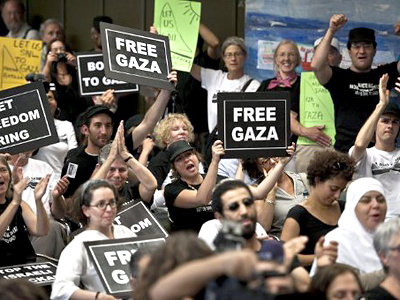 On Tuesday, Israel alleged that pro-Palestinian activists, who are planning to breach Israel's sea blockade of the Gaza Strip, are going to harm Israeli soldiers who were ordered to prevent the ten ships from making it to the Palestinian territories, AP reports. Israeli military spokeswoman Major Avital Leibovich, citing intelligence reports, said extremists in a planned aid flotilla had "dangerous incendiary chemicals" to use against Israeli forces. 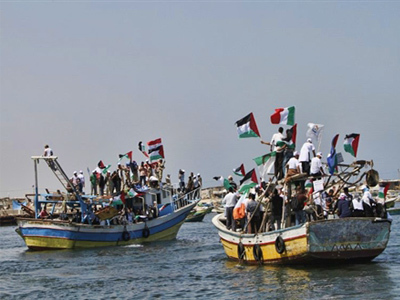 However, human rights activist Itamar Shapira from Jerusalem, who was on a similar aid flotilla last year, believes the flotilla poses no threat. 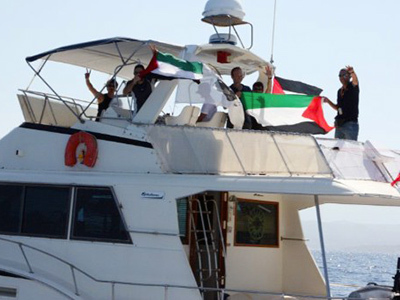 “I’m positive there is no violent means or tool against the Israeli soldiers that are about to attack that flotilla. I have a few friends including my brother over there, and their aim is to come peacefully into the Gaza shores. Though the Israeli authorities are blocking that and surely they will be the ones attacking it. That’s a very well-known trick of the Israeli government and army to try to make the peaceful activists as lethal and frightening for the public in order to create public opinion against those people and keep on controlling the Palestinians,” he explained. 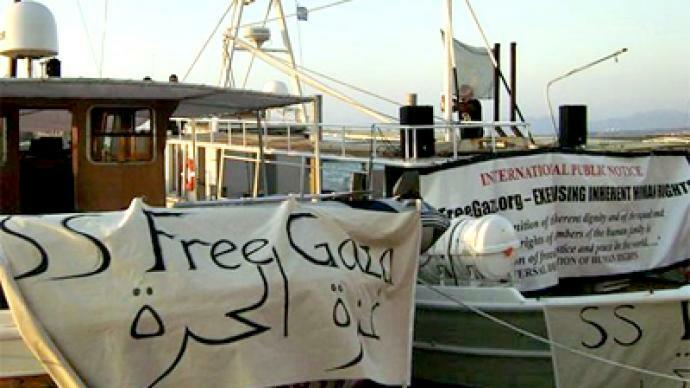 The activist also said the Israel secret police was trying to sabotage one of the vessel heading from a Greek port. “We know that the secret Israel police and the Mossad is there. My brother has seen very strange ‘fishermen’, that don’t have any fishing equipment,” he said. 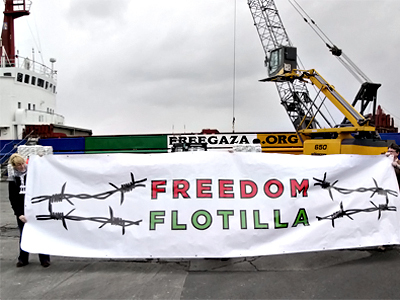 The new Gaza aid flotilla was first announced in May 2011, one year after the Israeli navy thwarted a similar attempt to break the blockade. It is to deliver humanitarian aid to the Palestinian territory and draw public attention to the plight of Gaza residents, organizers say. 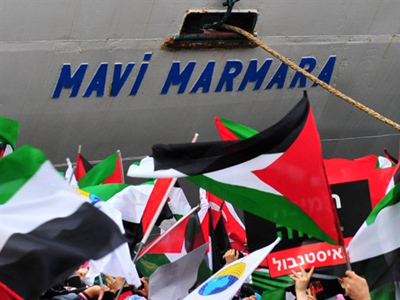 Peace activist Aziz Abu Sarah says it is much better for Israel and its image to allow this flotilla arrive safely at Gaza in a way which does not hurt Israeli security.